We like its brushed aluminum finish, intelligent backlighting, and compact size, but what happened to the handy slot for docking your phone? 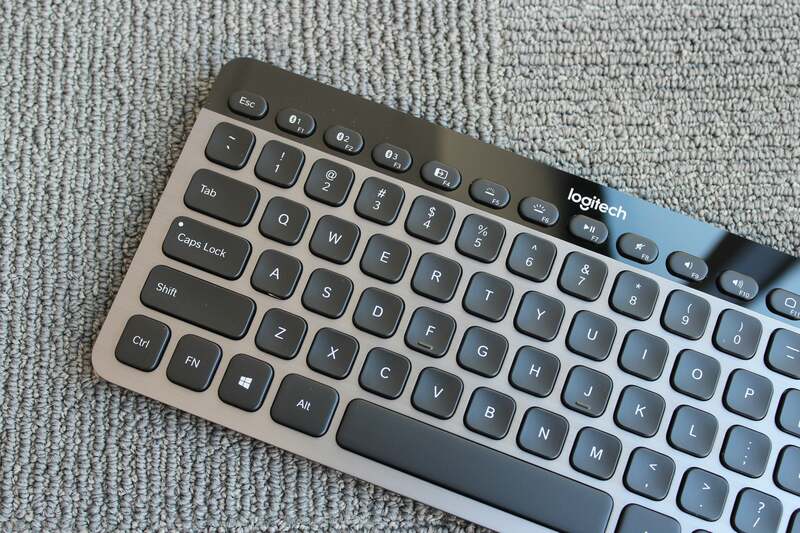 Logitech’s K810 is a compact six-row QWERTY keyboard that supports Windows 7 and up, Android, and Apple iOS. Multi-device keyboards are more of a luxury than a necessity, but if you’re so inclined they can spare you the tedium of thumb-typing on tablets and mobile phones. That’s no small thing if you routinely work with longer emails and documents on the go. 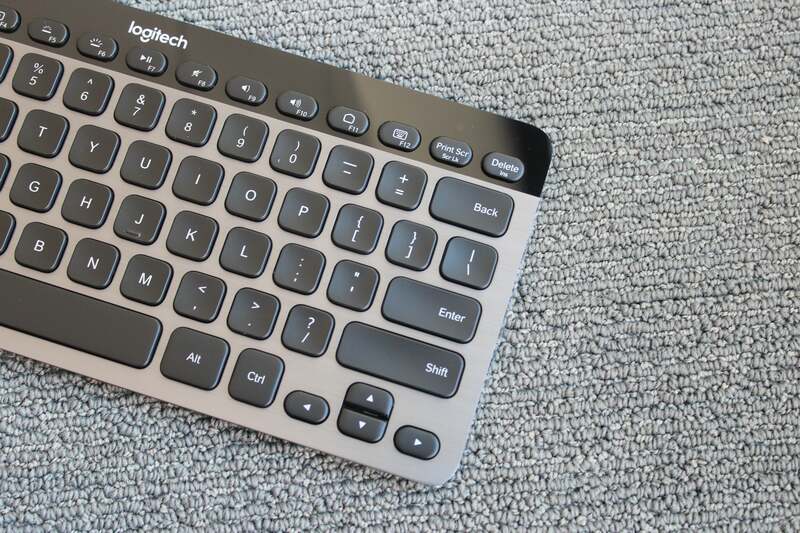 Logitech clearly believes you’ll use it mostly with the two mobile operating systems, as it has designed the K810 to be thin and light enough to slip into a laptop bag or purse. With its brushed aluminum finish and laser-etched keys, it’s stylish enough to be used alongside to the latest mobile devices, too. This review is part of our ongoing roundup of the best wireless keyboards. Go there to see our top picks, view competing products, and get buying advice. The K810's laser-etched keys illuminate when your hands approach the keyboard, so you can read them more clearly in low light. You can pair up to three devices at a time with the keyboard. The process is straightforward: Press the Bluetooth connect button—oddly embedded in the bottom of the keyboard—which activates the three Bluetooth keys in the function row. Press one of these, then follow the appropriate instructions to pair with your computer, tablet, or phone. To switch between connected devices, you just press the Bluetooth key associated with that device. Typing on the K810 is pretty pleasant. The keys are responsive and quiet, and their concave surfaces and round corners make it easy to move your fingers fluidly among them. There's also a dedicated Windows key right where you’d find it on your computer’s keyboard, which will take you directly to the Windows Start menu. The keyboard’s backlighting is triggered by a built-in motion sensor. As your hands approach the keyboard, the keys will illuminate to make them easier to read in low light. The backlight auto-adjusts depending on the amount of light in the room, or you can manually adjust it up or down using the F5 and F6 keys, respectively. The first three function keys allow you to pair and toggle between multiple devices via Bluetooth. For all there is to like about the K810, there are a few drawbacks. Most notably, it achieves much of its portability by forgoing a numeric keypad. If your work involves a lot of number crunching, that’s probably a non-starter for you. More bothersome to me was the absence of a cradle or other way of propping up mobile devices while you typed on them. That’s something Logitech has included with its K780 multi-device keyboard and its Keys-To-Go keyboard, among others, so its omission here is puzzling. I had to prop the mobile device in question against a book or some other object to make the screen visible when typing on the keyboard—it’s kind of a hassle. 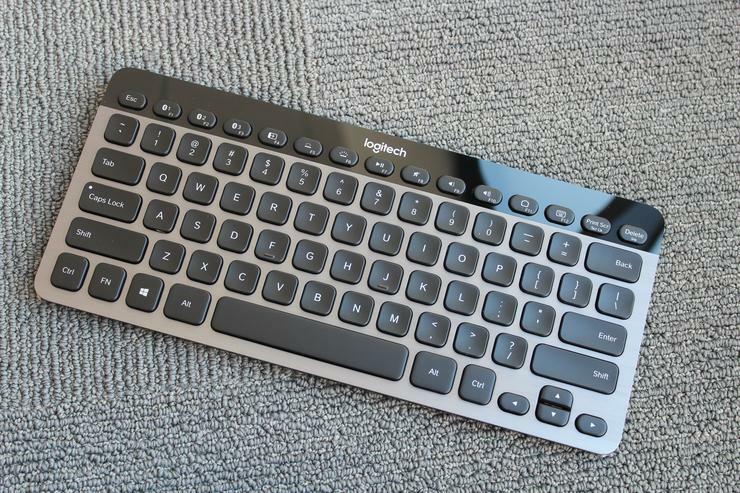 Still, the K810 is a solid wireless keyboard for heavy multi-devices users. If you’re someone who grinds out more emails on the road than in the office, your thumbs will thank you.